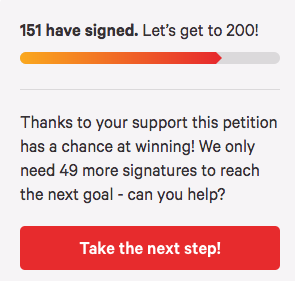 Our petition has been up for a couple of days and we’re excited to see how many people are backing it. We started out with just a handful on the first day, then a few more, then more, and a boatload today. We had about 90+ supporters last night and show 151 at the time writing this post.